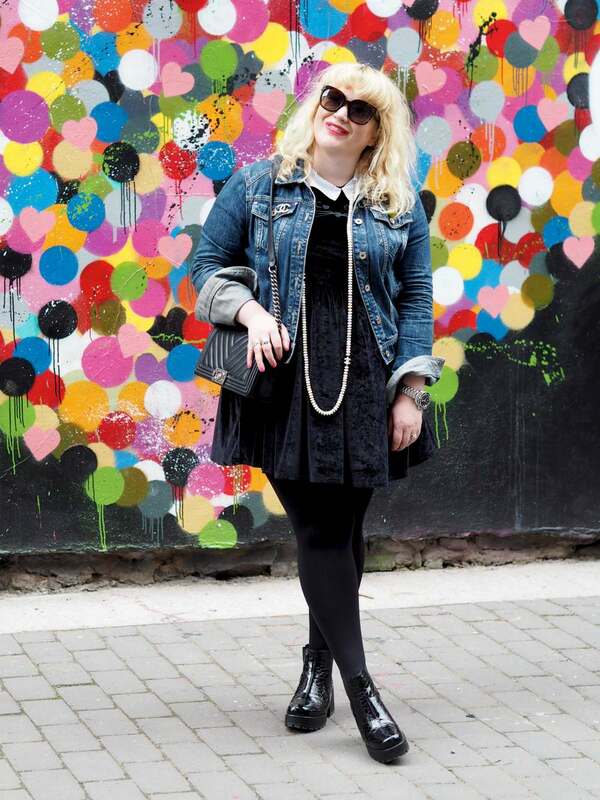 November Favourites - Fashion For Lunch. This month I have been listening to Happy Face podcast, which is about the daughter of the Happy Face Killer and exploring the crimes of he did and how it’s impacted her life. It’s a really well done podcast and it’s well worth a listen. Aside from that, I’ve been listening to We Need To Talk About Britney and the new series of Heavyweight, which is always a really great listen. 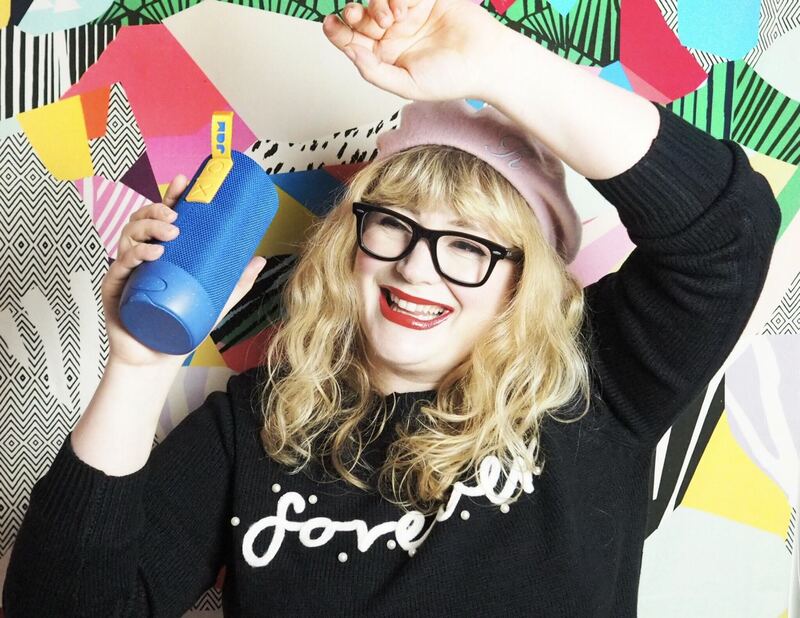 Also, we need to talk about this speaker! It’s by Jam Audio and it’s wireless and bluetooth ad waterproof and has an incredible battery and allllll that good stuff! It’s also really affordable, as right now it’s £49.99. It’s brilliant! My favourite of all the Jo Loves collection has to be White Roses & Lemon Leaves. I’ve been wearing it non-stop this month! I recently finished my last bottle and it feels SO good to have another because it’s just the most beautiful perfume in the world! 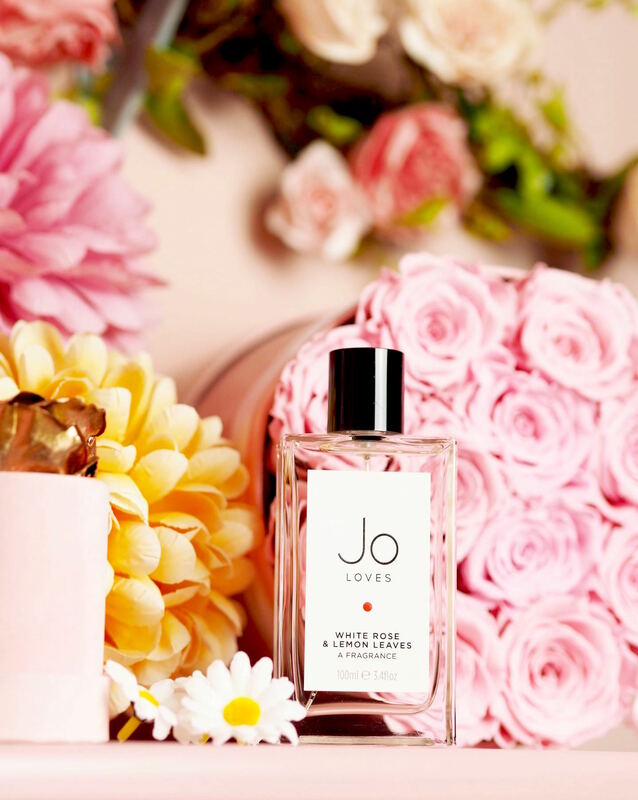 Well, at least in the Jo Loves shop, which says a lot because we all know Jo Malone (the founder and perfumer at Jo Loves) is a fragrance maverick! White Roses & Lemon Leaves contains notes of White Rose Oil, Lemon Peel, Rose Absolute, Petitgrain, Honey and Amber, it’s sublime! Ok! Ok! So it’s not really Gordon, but it kinda looks like Gordon and that’s enough for me! I got this mug from Joules and I think it’s so cute! Isn’t Gordon the sweetest little guy? Ah! I just love him! 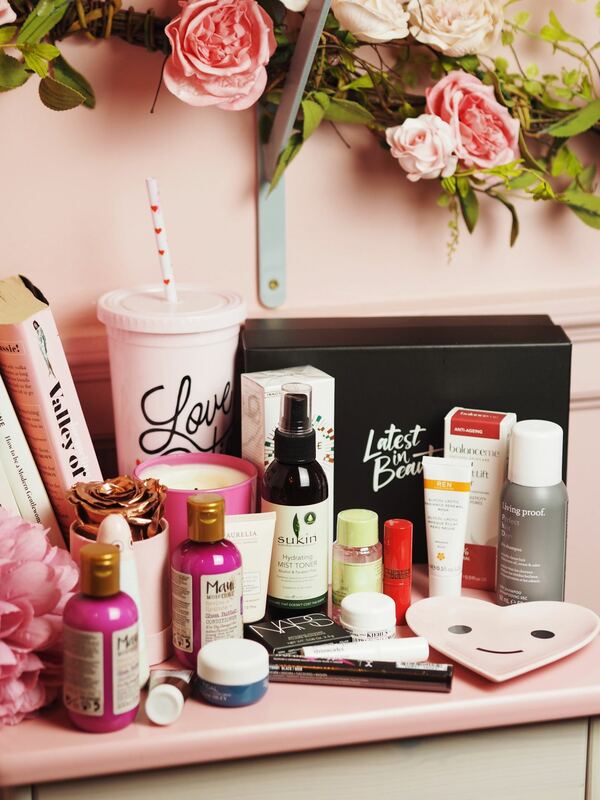 Latest In Beauty are known for their incredible beauty boxes, but honestly, this Latest In Beauty X Grazia box has to be their best yet! It’s packed full of incredible items, from Nars Laguna, Sunday Riley Tidal, Sukin Face Mist, Origins Night Cream and SO much more!!!! It’s so good!!!!! I honestly can’t get over it! If you want one, they are still available and they are priced at £50 and filled with over £300 of goodies! 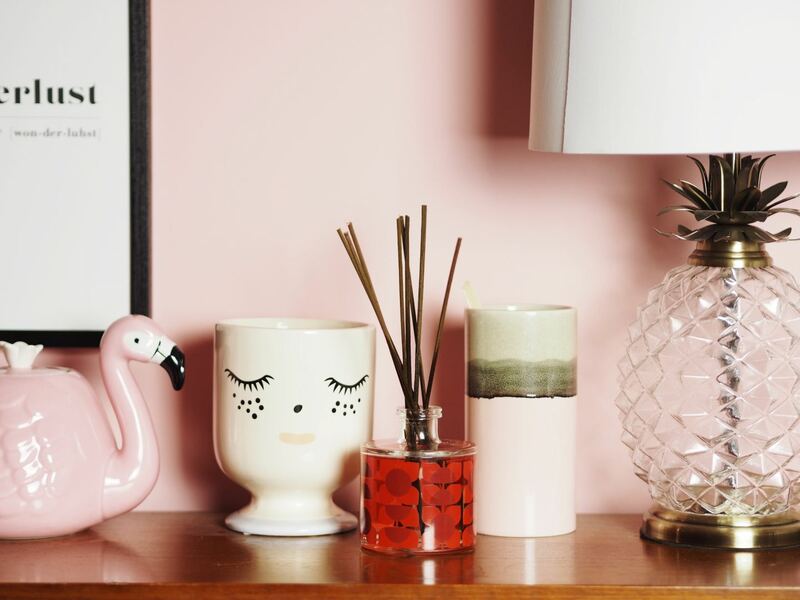 I adore this Orla Kiely Geranium diffuser, it’s sooooo pretty! I have it in my office and I just love it! It’s filled with the scent of geranium, eucalyptus and clary sage. It’s really lovely and it keeps my office smelling fresh, even if I haven’t dusted in a week month! PS. Please don’t judge me! I’m HOOKED on this!!! I recently discovered Soap & Glory Naughty But Spice scent as part of a Christmas gift set and honestly, it’s SO good! It’s sweet but spicy, like a pink Christmas! It gives Snow Fairy a run for it’s money! It’s a festive, pink, glitzy delight and I love it!!!! I even DM’ed Soap & Glory to ask if they sell big bottles of it, but so far, it’s just in a smaller size bottle. Fingers crossed they sell litre bottles of it next year, but for now, I’ll be stocking up on the smaller sized bottles from the gift sets! The most enviable palette of the season! The Bobbi Brown Glitter Highlighter Palette! 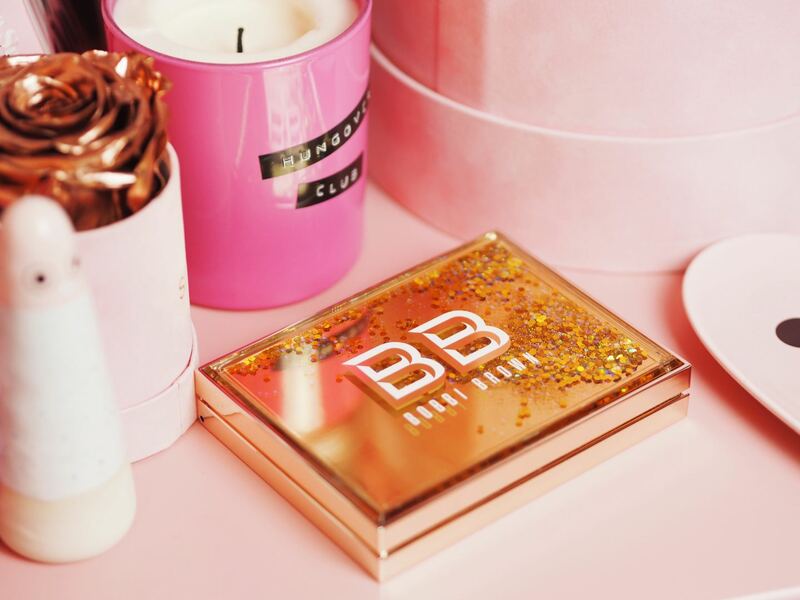 Not only is it beautiful on the outside, but it’s also dreamy on the inside, filled with two of Bobbi Browns iconic highlighters in a pink and gold tone. Lit from within and oh-so beautiful! 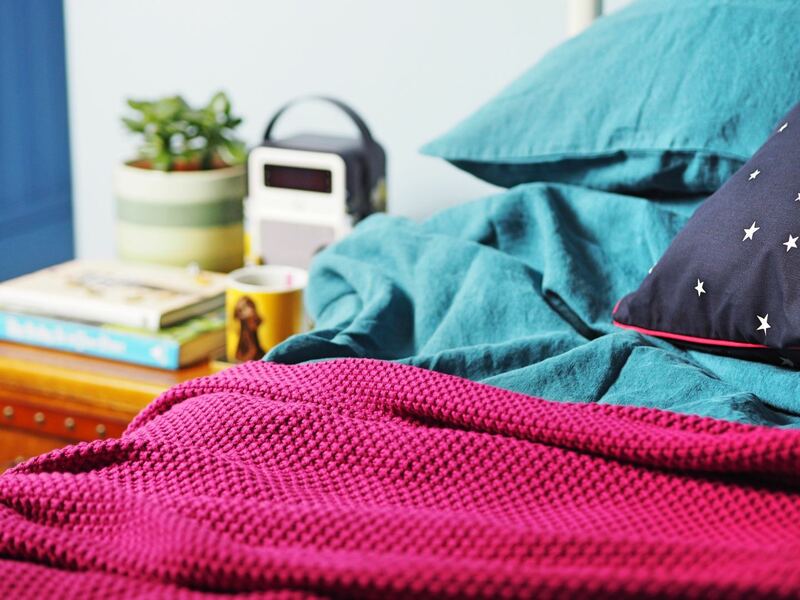 This month I was kindly gifted the most amazing Loaf Lazy Linen Bedding. It’s really slouchy and comfortable cosy. It’s really lovely to sleep on and I really love the look of it. 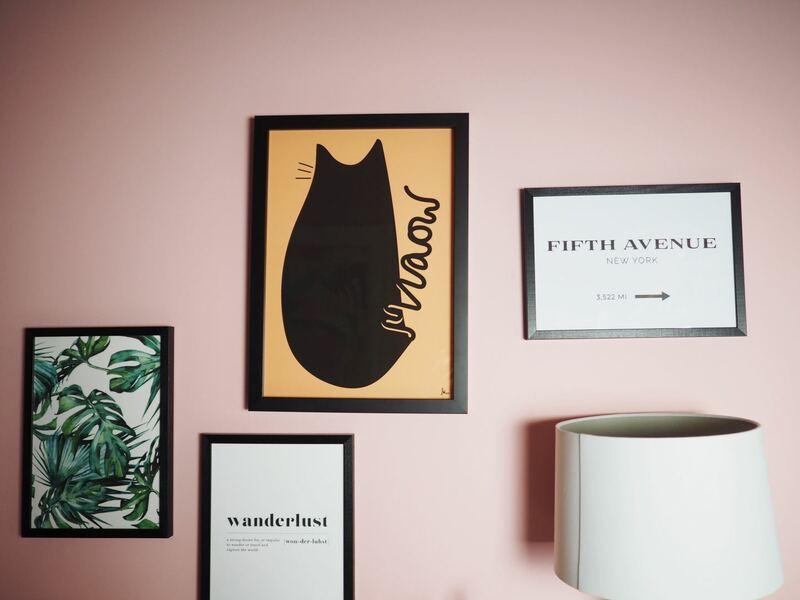 It’s got a bit of a retro vibe to it and I love the way it compliments my bedroom decor! 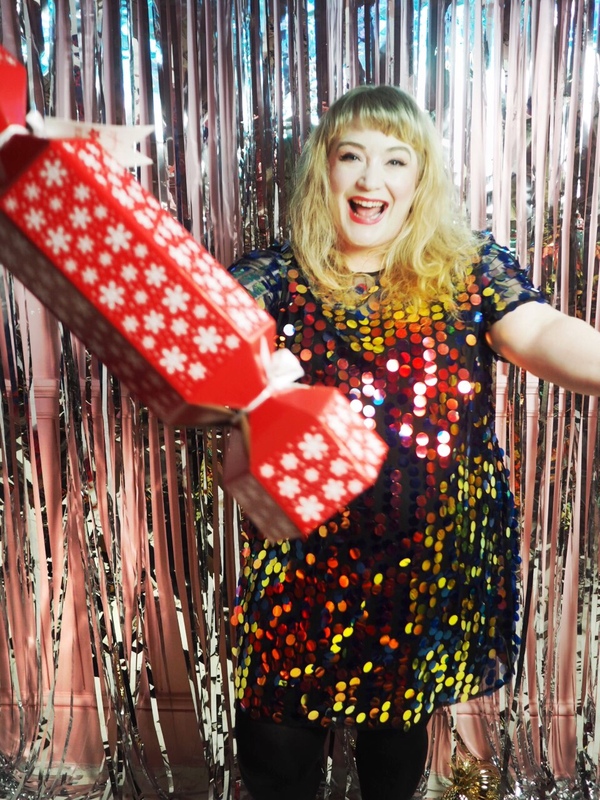 This month I created a blog post with Simply Be all around Christmas party wear! I don’t think I’ve ever had as much fun creating a blog post and I’m obsessed with the clothing!!! This sequin dress is a real favourite if mine and I also adore the red velvet dress and super comfortable chunky heeled boots! I love them!!! Go check out the post here, it’s especially good if you are a curvy girl and want some Christmas party outfit tips! 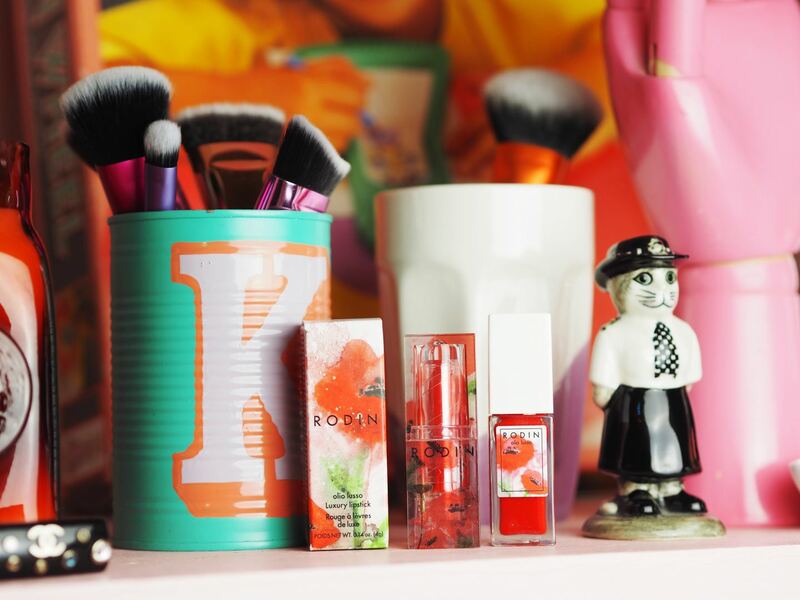 This month the Rodin Poppy Lipstick and Lip & Cheek Oil dropped through my letter box and it’s fair to say, I’m obsessed! Like look at how pretty it is! 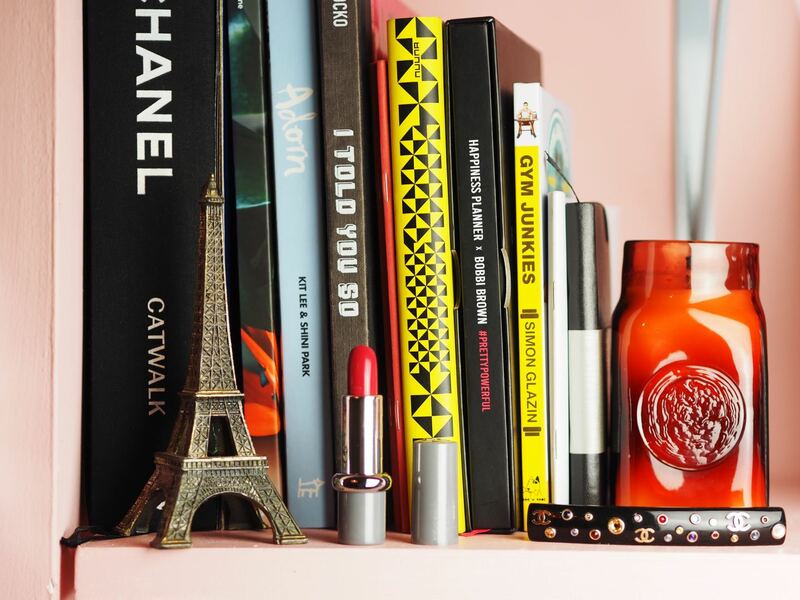 Those red hues and which give a really dewy, balmy, youthful blush and tint. My personal favourite of the two is the cheek stain, but both are beautiful! Also they are available at Liberty and they are limited edition so hurry it up if you want them! When I first got this bag, I thought it was a summer handbag, however, right now I’m totally feeling it as a winter handbag. It’s super cute with a vintage tea dress in maroons, browns and autumnal colours. I love it! It’s been in my wardrobe for well over a year now but I’m still not over it! I’ve really enjoyed wearing it over the past few weeks and it’s the perfect size and shape for commuting into London too! PS. 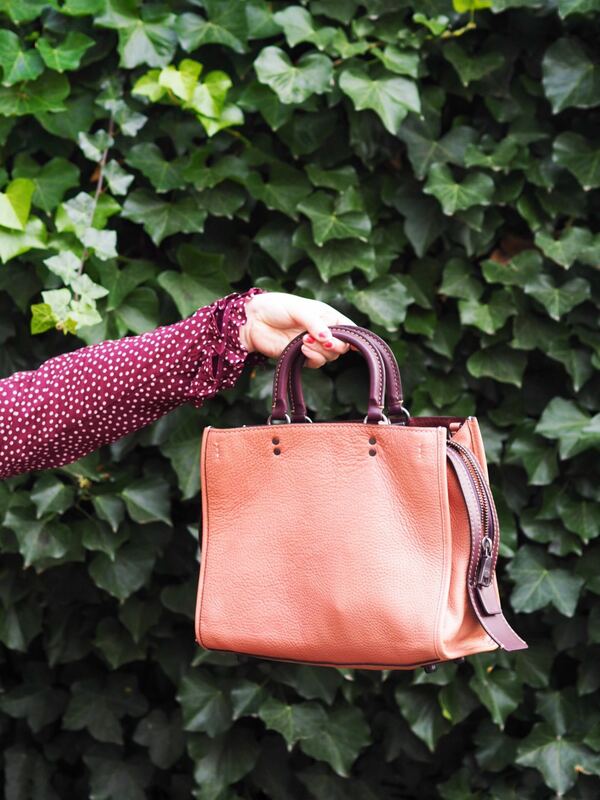 The Coach Rogue handbag is by far my fave bag from the brand, in case you were wondering! I have a lot of highlighters in my make up kit, but quite frankly; sometimes it’s the oldies which are the besties! 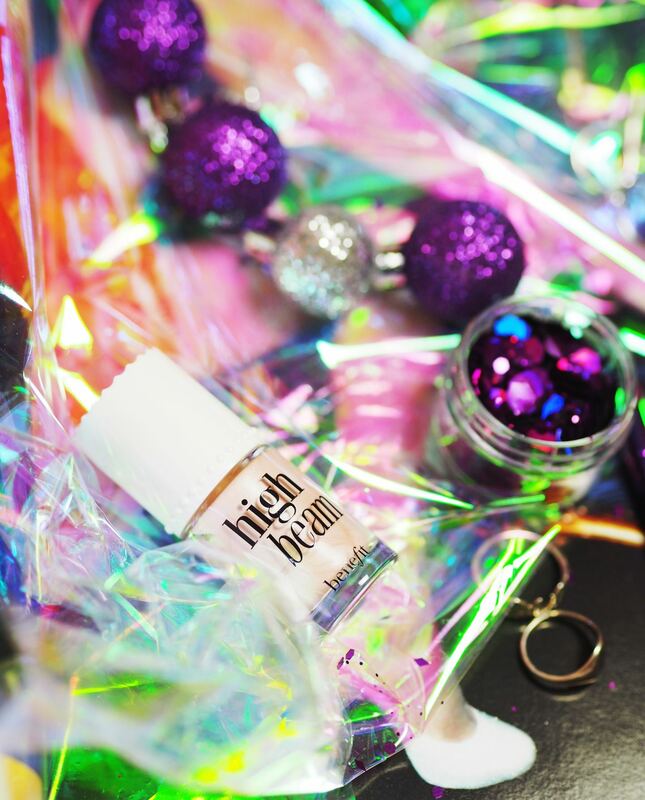 Benefit Cosmetics High Beam is an OG highlighter and it never fails! It’s radiant, silky and works. I forgot how much I love High Beam until recently! This post is turning into a bit of a OG favourites post, but bare with me. 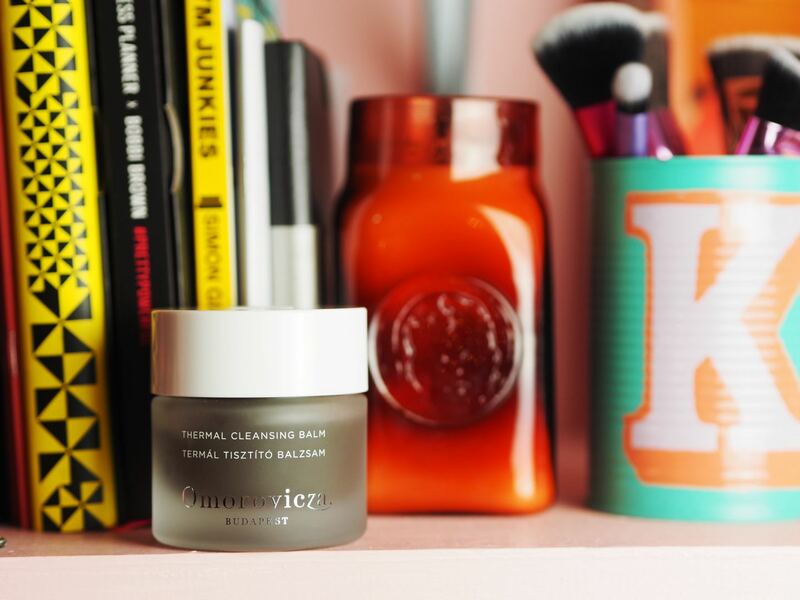 Omorovicza skin care is the best. No really. It’s the best! Their cleansing balms are the best, the face mist is essential and the acid fix is the BEST. I’m hoping santa brings me a new stash this christmas! I blogged about my kitchen here and I just wanted to mention it in case you haven’t seen it yet! I can’t believe after 2 years of crazy hard work and saving we finally have a kitchen. I can’t tell you how good it feels! I’m so happy and so excited about it! 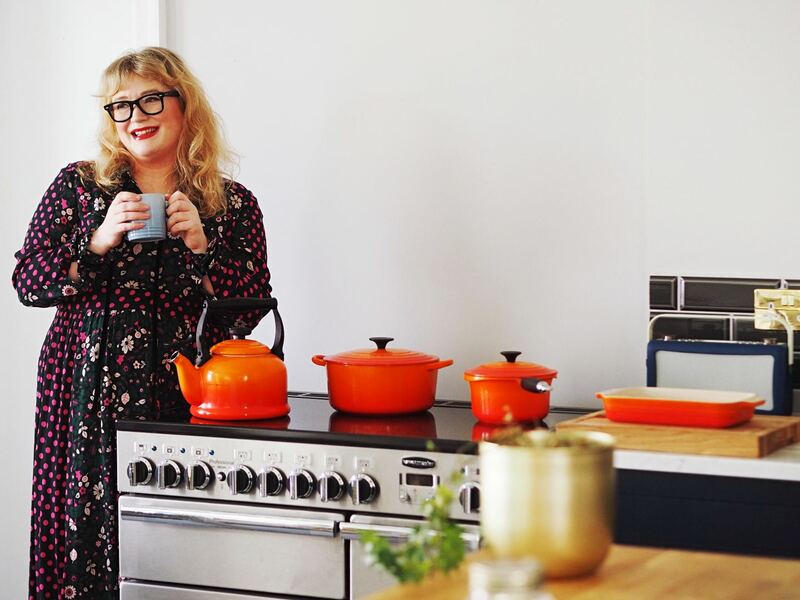 Go have a read and snoop at my kitchen! There’s more coming soon, I promise! 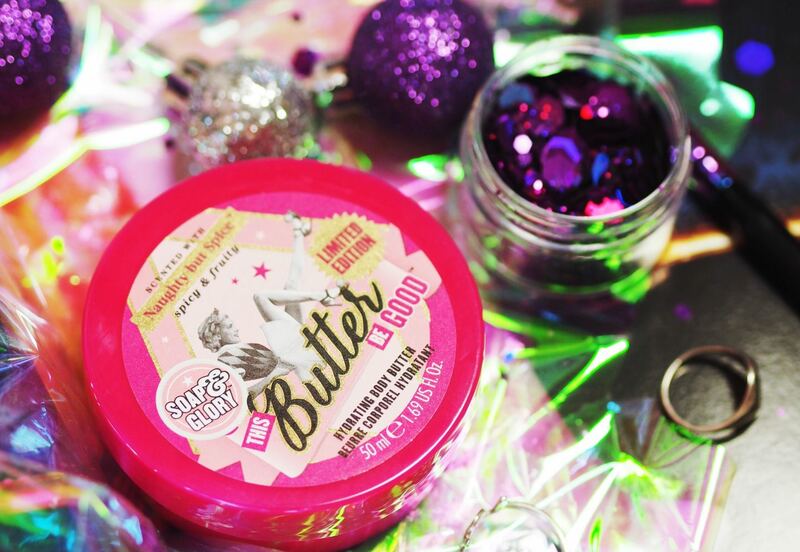 It’s that time of year where nothing else matter except keeping warm and laying on lipbalm! I don’t know about you guys, but my lips get SO sore in the winter. I blame the excessive central heating and the cold winds. One of the best lip balms out there has to be Lanolips lipbalm. It’s incredible!! It’s lanolin based so it’s really thick, Hydrating and protective, and it’s also totally natural. I put it on at night and I wake up with happy lips and I usually put it on in the morning and generally that’s all I need. No constant reapplying with Lanolips, it’s easy sneezy! Please can we talk about how darn cute these Boden Shoes are? I absolutely love them!!!! 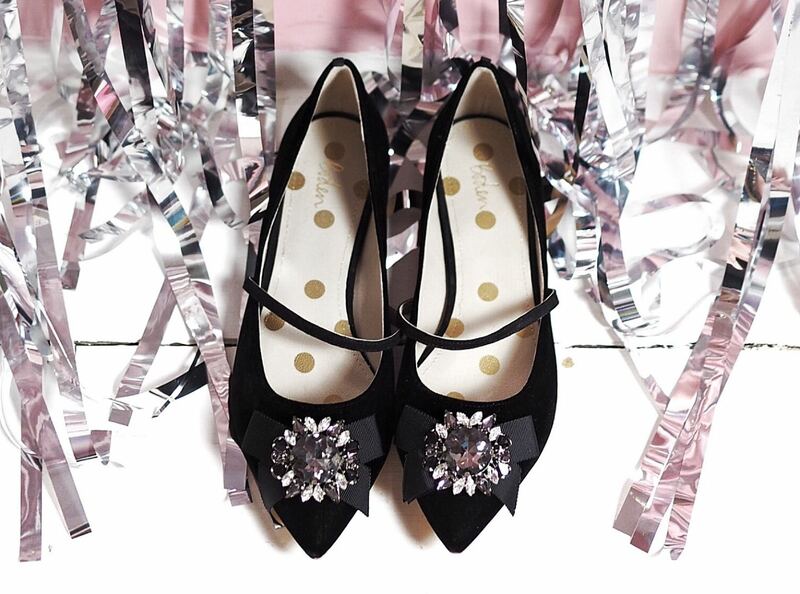 The plush bow, jumbo crystals and Mary-jane shape are everything I need from a pair of Christmas party shoes! I love them so much! Finally, this month I finally took a trip to the hottest new coffee shop in London. 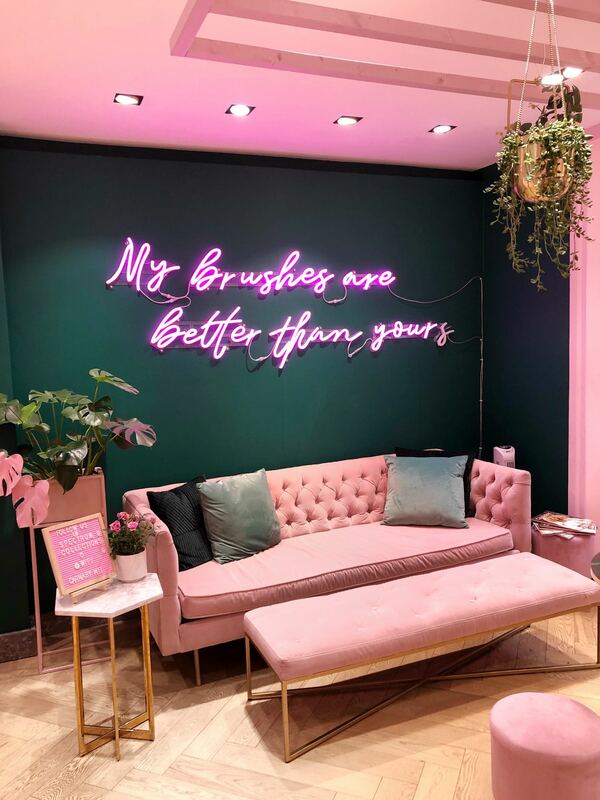 It’s part of the Spectrum Collections store in London, the downstairs is a store selling all their amazing brushes, the upstairs is a super cute coffee shop. Isn’t it beautiful?! Is there anything these sisters can’t do!? I think not! Yep! I know I say it every month, but I’m still working on my office and it’s still taking me a sweet time! This month I’ve been trying to pull together a bit of a gallery wall. it’s still going fairly slowly, but it’s really fun gradually building it up! Also, the top right picture is the exact distance from Margate to Fifth Ave in New York! It was made especially for my be the kind ladies at Elizabeth Arden and I LOVE it! Ok, so first of all, Malava need to sort out their lipstick packaging, because it’s painfully uninspiring, but I promise, once you get past that grey plastic case, this lipstick is amazing! It’s SO good! I wish I could remember what shade I’ve been using (it’s upstairs and too cold to go fetch it!) but it doesn’t really matter, because all you need to know is that this lipstick is brilliant. It’s super light, long lasting and comfortable to wear. 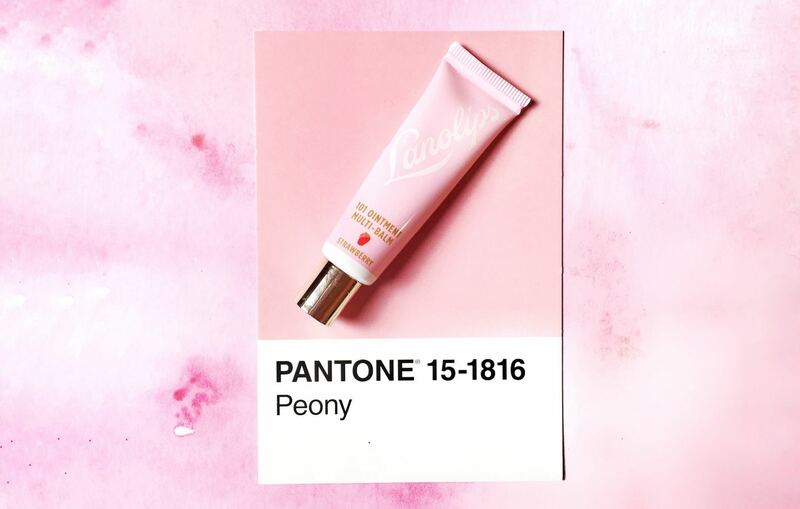 It feels more like a satin sheen in a balm consistency, but actually, it’s high impact colour and the perfect not-matte-but-not-satin finish. Obsessed! PS. Malava, if you want help redesigning your lipstick cases, I’m here for you! Ta da! So there are my monthly favourites! 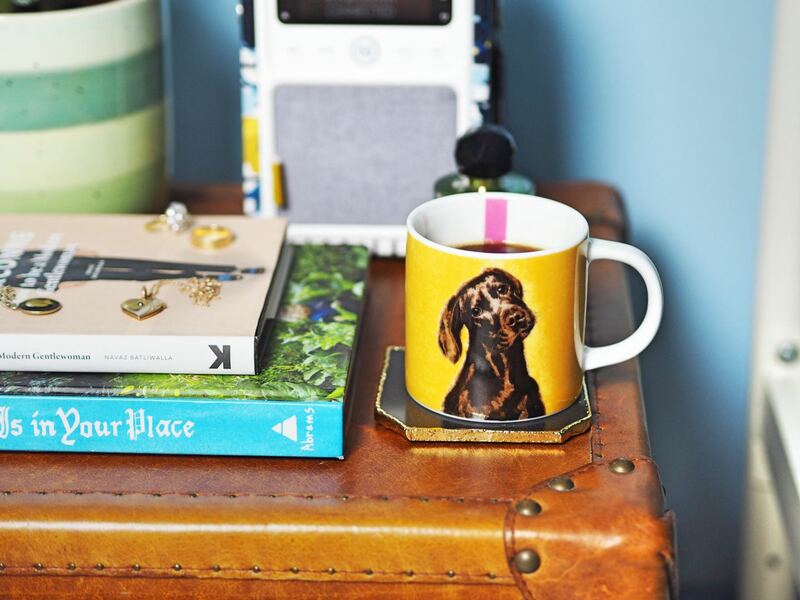 Do any of these items take your fancy? And what have you been loving this month?